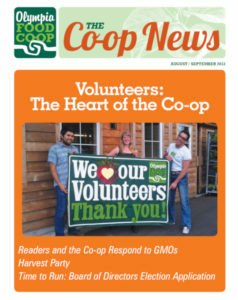 WHERE DOES THE CO-OP STAND ON GMOS? GMO crops can have unintended detrimental effects on other crops and ecological systems. We do not yet know whether GMO crops’ benefits outweigh their risks. Although some GMO crops likely have beneficial applications, others have been exaggerated. Scientific evidence on the benefits of various GMO crops is contradictory. For instance, although multiple studies carried out by GMO producers have shown that their crops have a higher yield than conventionally bred varieties, newer studies undercut these claims. A recent study in the International Journal of Agricultural Sustainability found that crop yields for corn in America (which produces almost entirely GMO corn) and Europe (which produces almost entirely non GMO corn) were nearly identical for the previous 25 years (1985 – 2010) – or in other words, we haven’t experienced a big bump in yields from going GMO. If the benefits of GMO crops do not outweigh the risks, there is no reason to use them – especially given the issues of corporate control of food that are inherent in their production. Part of the reason we do not know the risks and benefits of GMO crops is that the science is industry funded – and contradictory. Food sovereignty requires that people control their own seeds, farms, and food systems. Perhaps most importantly, we believe the people have the right to control their own food systems; GMOs do the opposite. These proprietary crops contribute to the increasing concentration of seed production and economic power in a few multinational corporations, while simultaneously putting undue burden on organic farmers to seek out GMO free seeds and guard against cross pollination. We particularly take issue with pro GMO voices who insist that GMOs are needed to “feed the developing world”, and that those who wish to limit the introduction of GMOs are “elitist”. Many citizens in other countries are having their own debate about the pros and cons of GMO crops. In fact, in 2002 the governments of Malawi, Mozambique, Zambia and Zimbabwe refused to accept food aid from the United States because it included GMO corn. Most importantly, the problem we face with food shortages in our world is due more to our refusal to share food equitably across national boundaries than to a lack of food overall. To claim that corporate controlled GMO crops are needed to solve such shortages is to ignore and exacerbate the systems and inequalities that create these problems in the first place. 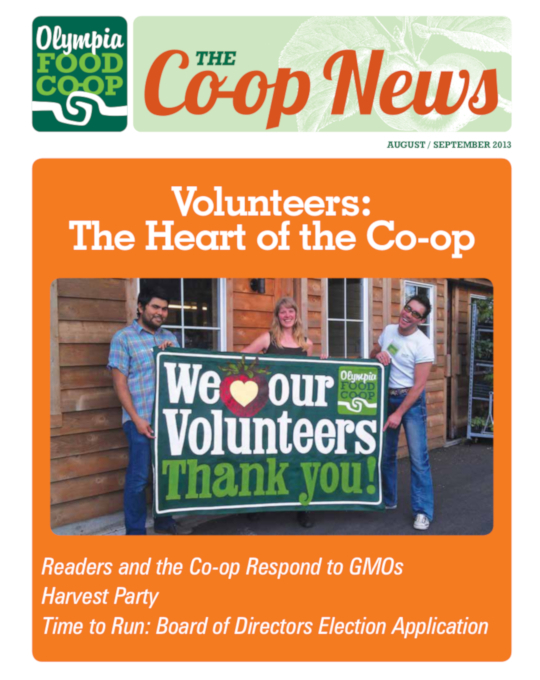 The Co-op endorses I-522 – Washington’s genetically modified food labeling act.